As we reported earlier this year, 36 states currently use a version of the residential energy code equivalent to the 2009 International Energy Conservation Code (IECC) specification or lower. As states work to adopt and implement more recent versions of the IECC (2012 or 2015), some builders may find it challenging to meet the blower door testing requirements of newer energy efficiency codes. Moreover, doing this cost- effectively is a top-of-mind concern. But, builders can leverage existing relationships with manufacturer partners and an energy consultant or HERS rater to keep costs in check and meet airtightness requirements. Ron Davis, owner of Ron Davis Custom Homes takes pride in the craftsmanship of the luxury homes his company builds in and around Dallas, TX. The company has a reputation for quality and is committed to energy-efficient building, constructing HERS-rated and Energy Star homes. By working with a top energy consultant and a national insulation manufacturer, Davis developed a successful, repeatable strategy for building airtight, high-performance homes. The approach allows this high-end builder to meet stricter airtightness levels without breaking the bank. By consulting its insulation manufacturer partner and Burgess Energy Consulting, Davis Custom Homes learned that it could build to more aggressive energy targets without using expensive products and systems. Working with its partners, the builder chose a five-layer thermal, moisture and air barrier assembly that when installed properly, delivers the airtightness targets at an affordable cost. Exterior and Interior walls are a major factor in achieving desired airtightness levels. Starting with the exterior approach, sealant is applied to the sill plate anchored to the foundation. Then a framing gasket is applied every 12-16 inches in a staggered pattern along the perimeter of the exterior wall and along the perimeter of window and door openings. In the areas where the second floor will project beyond the first floor a framing gasket is applied to the overhang then plastic flashing is installed. As a final step, continuous insulation is applied over wall framing and all joints are taped using a product approved for use with continuous insulation. Tape is also used to seal any holes or penetrations. Interior walls get the framing gasket along the perimeter of the inside surface of the top plate and exterior walls, then stud cavity insulation. The framing gasket is also applied in a staggered pattern every 3 inches to interior walls, double walls and knee walls using straight cuts at the corners of the room. Blocking is used to provide a continuous surface for gasket to be applied wherever there’s a ceiling height change or soffit and the gasket product is applied along the top plate of interior walls. Finally, the interior structural walls are sheathed with OSB or equivalent structural panels. The approach delivers well-constructed and tight assemblies using readily available, cost-effective products that don’t hamper productivity. Davis hired Burgess Construction Consultants to advise his company on its approach to energy efficient construction some years ago. Burgess Division President Craig Brooks stresses the role of training in meeting new code energy code requirements. “Our clients know we will provide training at any time for them and their trade partners, and we also view every inspection as an opportunity to provide training,” he noted. “We always invite our clients to join us for every inspection so that they can see and critique the work first-hand.” Davis’s quality control manager often joins the inspection. For builders that operate in states that haven’t yet adopted the 2012 or 2015 IECC, Brooks advises that they engage with a knowledgeable rater as a first step. He added that builders should seek manufacturers that provide air sealing solutions, understand how the various products work, and which product solution mix will provide the best, most cost-effective option for them. 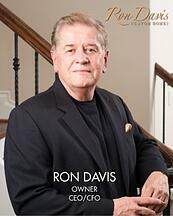 Ron Davis Homes also utilizes Burgess Construction Consultants HERS rating services. Energy targets differ for Texas builders in climate zones 2 and 3. In climate zone 2, under the 2015 IECC, 85 to 90 percent of builders can reach the blower door target of 5 ACH50. But 5 ACH50 is an easy airtightness level to achieve using your standard air block and air sealing techniques. Also, any reasonable level requires some attention to detail – and only a blower door test will tell you how tight the home is. In climate zone 3, where there’s a 3 ACH50 target, the first test pass rate is closer to the 40 to 50 percent range, according to Burgess. Thus, without a rigid air sealing and inspection protocol in place, most builders will have a very difficult time achieving the 3 ACH50 blower door target on the first attempt. Brooks advised builders whose states hadn’t yet adopted more recent versions of the residential energy code use the time between the announcement of the code change and the adoption to get ready to meet the new requirements. "Any builder in a jurisdiction that is currently under the 2006 IECC, but may jump straight into the 2015 IECC, should use that window of time to fine-tune the approach to comply with the newer code,” Brooks said. He urged builders to spend a couple of months focusing on sealing ducts to 4 percent air leakage consistently, then work towards tightening the envelope to the target ACH50, as these two items are typically challenging for builders.